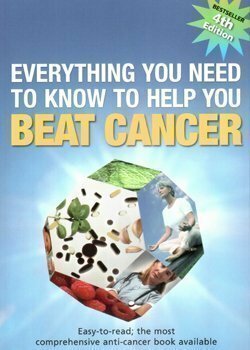 The theory on diet that research turned into fact – for cancer, diabetes, heart disease, dementia, Alzheimer’s and even a longer life! 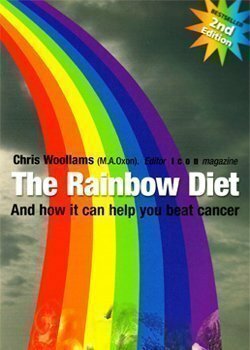 Back in 2004, Chris Woollams was asked about the ideal diet to fight cancer. So he started researching the subject. And he found a number of very impressive research studies on the Mediterranean diet. What fascinated him was the French Paradox – namely, that the French eat more fat and drink more alcohol than any other nation but have less cancer and heart disease. He even found a research study done inside France where the people near Toulouse drank even more alcohol, and ate even more fat than the rest of the country – yet had even less cancer and heart disease!! So he developed a theory, based on two parts. Firstly, that fat wasn’t the big culprit – carbohydrate/sugar was; and secondly that the plethora of colorful fruits and vegetables eaten by the local population contained pigments which were bioactive – and these compounds had the ability to both prevent and correct even chronic illness. Yes, CORRECT. Since that time, the research has come in thick and fast. Harvard and others have shown benefits in terms of reducing risk of chronic illness and increasing longevity, NO MATTER WHERE YOU LIVE IN THE WORLD! he book is constantly updated. There are numerous studies showing the theory is correct – For example, the Science of Epigenetics has shown that there are over 60 bioactive compounds that can correct genetic problems around your core DNA. As several Pharma scientists now openly state, such changes are reversible, and …. You are not DOOMED. 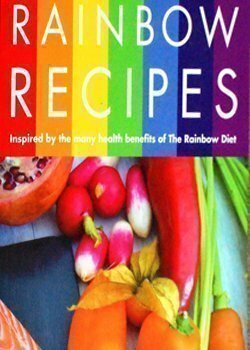 And also there have been many studies now – on diabetes, heart disease, dementia, Alzheimer’s, stress, longevity and more showing that everybody – wherever they are is the world – can benefit TODAY from the Rainbow Diet. In the book Chris includes a thorough look at many diets, and even a shopping cart with points for foods! So, why not put a little colour in your life? Starting today. 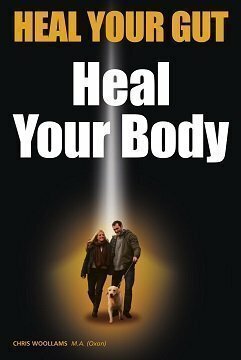 This book is ONLY AVAILABLE THROUGH THREE WHOLESALERS IN THE WORLD! (One for the UK, one for Australia, and one for the USA and Canada). It costs about $25 US – please do not pay more.